In the future, the average work week will be 1 hour a day, 2 days a week. At least, that's what George Jetson's work week consists of and we all know that the Jetsons is what the future is going to be like. We'll have computers that can find any information we need in an instant, portable communicators that let us talk to anyone in the world and robot maids. Wait a second. We have those already! Where's our 2 hour work week and flying cars? At least you can still pretend the future is as cool as it is in the cartoon. Women have tons to look forward to in the future. Interactive newspapers, personal media devices and household robots that do menial chores. Wait a second, we already have those things? The future is already here. It looks like it's time to wear shiny purple dresses with high collars, just like they do on the Jetsons. Now, where can a girl get her hands on a flying car like in the show? Some things never change like fresh cookies will always smell great, baseball will always be America's favorite past time, and teenagers will always act like teenagers. Even when you travel to the far future you will still see teens hanging out at malls talking about fashion and high school drama. The queen of the teens in far days to come is Judy Jetson. She, like most teenagers, just wants to jam out to some rock and roll and become the prettiest girl at her school. Now you can take a step into the high fashion future with this electric pink costume. 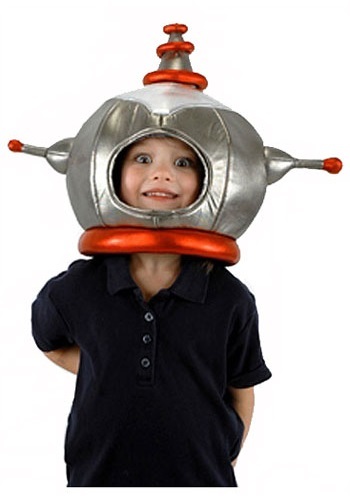 Share Jane Jetson’s sense of futuristic style with this Kids Jane Jetson Costume. The purple dress is made of 100% glossy polyester, reaches down to near mid-thigh and has a white trim high collar. A pair of fabulous knee high, matching purple boot tops are also included. Revisit the future with this Kids Jane Jetson Costume. No matter what era you're in teenagers are always the same. They always spend hours on the phone, have and intrest in fashion, and a life full of drama. In the year 2062 teens will not have changed at all. Now your little girl can become a one of the fashable kids in this futuristic costume. Alien abduction story goes as follows.The Capture- A person is forcibly taken by the alien. The Examination- The person is probed and prodded.The Conference- The aliens decide to have a chat with said captive person. (Why we don't know)The Tour- The aliens shows the human around the ship. What? What happened?- Person forgets about the experience.The Return- The person is back to where they started. Alien abduction...it could happen to you. If not well you've still got your Robot Hat. Wear the mask, be the mask. 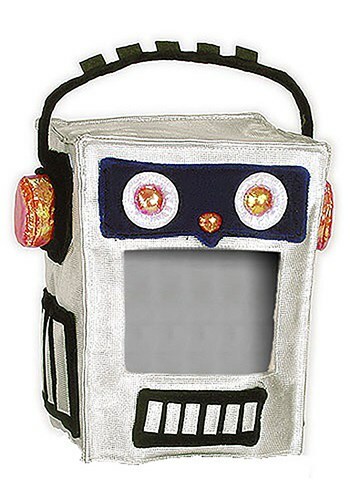 This Robot Mask Hat is a great way to see the world from a robot's point of view. Not only will you amaze your friends with you keen robo senses and binary code, you'll get a jump start on the impending robot takeover!